Khashoggi Case: Saudis Vow 'Greater Action' If Hit With Sanctions The kingdom's state news agency dismissed suspicions of journalist Jamal Khashoggi's murder as "falsehoods" — and pledged Saudi Arabia's "total rejection of any threats and attempts to undermine it." 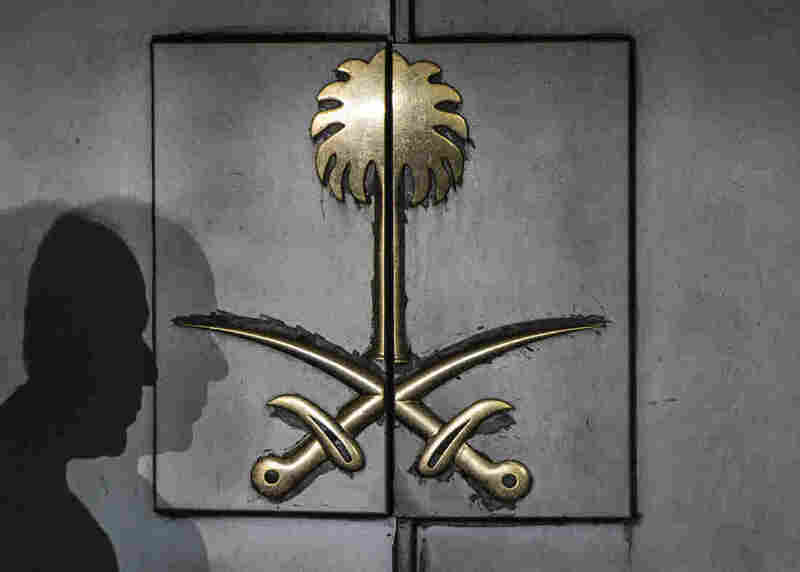 The shadow of a security guard rests atop the front door of the Saudi consulate Friday in Istanbul. 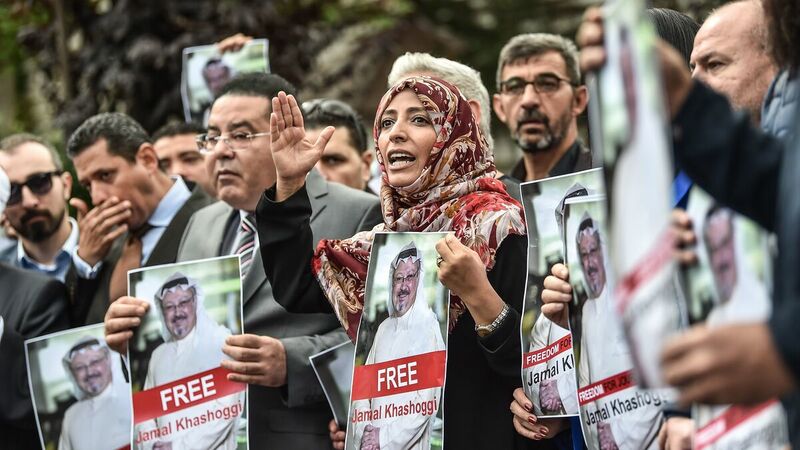 Journalist Jamal Khashoggi vanished after visiting the building earlier this month, and simmering international suspicion puts the Saudi government behind his murder. So far, administration officials have also expressed reluctance to canceling participation in Saudi Arabia's signature economic forum, the Future Investment Initiative. A wide array of global business leaders — including World Bank President Jim Yong Kim and Virgin founder Richard Branson — has pulled out of the conference later the month. At the moment Treasury Secretary Steven Mnuchin plans to keep his own plans to attend — though Secretary of State Mike Pompeo says they're evaluating the situation closely.